It’s coming up to two years now since The Last Dogs of Winter had its world premiere screening at Toronto Film Festival. Responses from audiences have been consistently gratifying. Responses from distributors and broadcasters have been consistently less so. The film seems to fall outside the template that makes for a commercial product. Too many animals, or not enough, too much of a character story, or not enough. Too hard. Too soft. Too much just not the same as whatever happened to be hot last year. I dunno. I find all this stuff just too frustrating to worry about any more. I’m satisfied I made a film I can be proud of, that tells the truth about something interesting. But now it’s not enough to just make the films, we’ve got to sell them as well, if only to get them to an audience. Because many, many distributors who used to make a modest living handling indy films have just given up, their profit margins destroyed by illegal file sharing. The disc is region free NTSC. I’ve authored an NTSC disc as most PAL format territories like Australasia, UK, and Europe commonly use dual system players. I will review this if there’s enough demand to justify making a PAL disc. The DVD contains the full movie, plus some bonus content – five short features containing deleted scenes and out-takes. About 30 minutes in total. I have priced this at NZ35.00, a little higher than my other titles, because I’m getting it commercially printed. If you enjoy the film, show it to your friends. Do it with my blessing. But please, do not organise group screenings and charge money, and do not rip the DVD and share it with millions of other people for free. Generosity of spirit is commendable, but that’s actually theft. Anyone who would like to organise a special screening, for interest or charity, I’m always happy to help facilitate this. But please, ask me first. 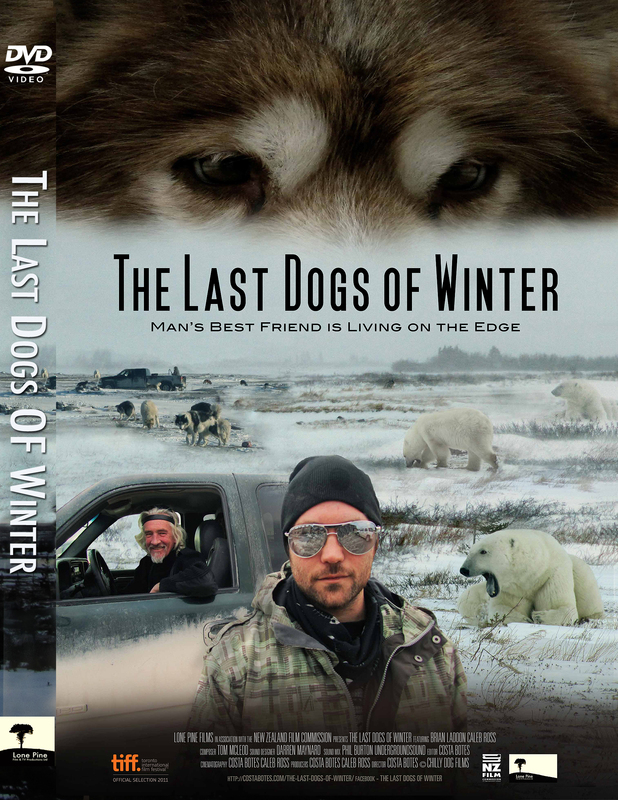 This entry was posted in Films and tagged Brian Ladoon, Caleb Ross, canadian Eskimo Dogs, Churchill, Costa Botes, Inuit Sled Dogs, Last Dogs, Last Dogs of Winter, Polar Bears. Bookmark the permalink. Still, the stories are out there, and people still want stories. Where there’s life, there’s hope.